This might not be a very exciting post but the first week of October has made this blog’s visitors, page views etc increase. 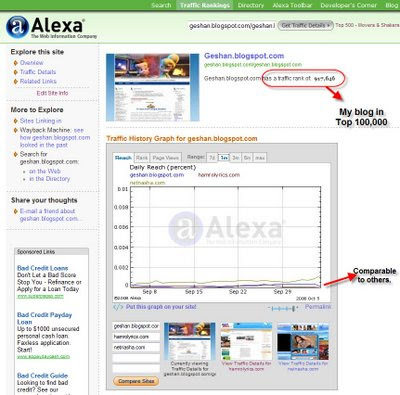 I was truly amazed to see my blog come in the top 1,000,000 in Alexa.com, it was a nice surprise. You can see the current rankings here. It resulted in good traffic hike. 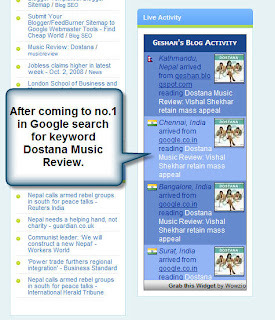 First week of October 2008 was great for this blog, hope we will achieve new milestones in days and weeks to come.